If you think that California lacks its own barbecue culture, you are surely mistaken. I have heard this sentiment over and over again throughout the years from proud Texan friends and folks who have grown up with their own regional ‘cues in Kansas City, Memphis, North Carolina, and so on. But truth be told, California does have it’s own distinct style– developed some time in the mid-1800s by local ranchers. And it’s damn good, too. We were able to re-live some major food memories of my childhood this weekend as we ventured up the 101 northbound to Paso Robles. En route to the Firestone Walker Invitational Beer Festival, we found ourselves stuck on the I-5 N for a few hours due to a brush fire near Castaic that shut down all lanes of traffic for miles. When we were finally able to get off of the 5 near Valencia, we hopped onto the 126W to the 101 for a much less congested trip up the Pacific coast. Falling behind schedule, we decided to stop for dinner just outside of Santa Maria in nearby Nipomo. Rancho Nipomo Deli & BBQ has only been around since 2006, but it’s become quite a beloved destination for tender, juicy barbecue Santa Maria-style. Located in a rather isolated area off the 101, Rancho Nipomo has all the elements of a Santa Maria bbq joint; hearty portions of tri-tip and pulled pork in a Mexican-American inspired menu where you can get smoked tri-tip enchiladas or regular ole’ pulled pork sandwiches. 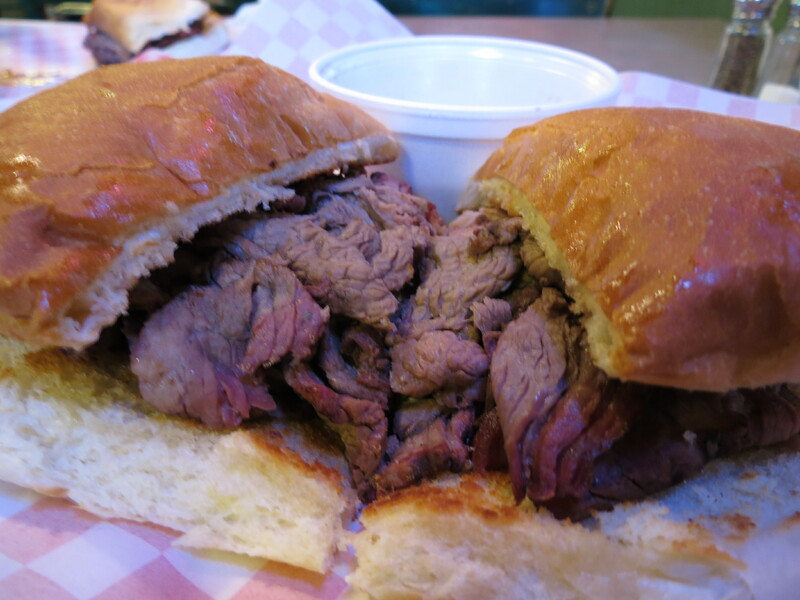 We opted for two smoked tri-tip sandwiches; a regular bbq sandwich and a tri-tip dip served with rich au jus. Both sandwiches were piled high with tender thinly sliced beef and served on the most amazing locally made Telera rolls. At under $10 each, these filling sandwiches were well worth the investment. 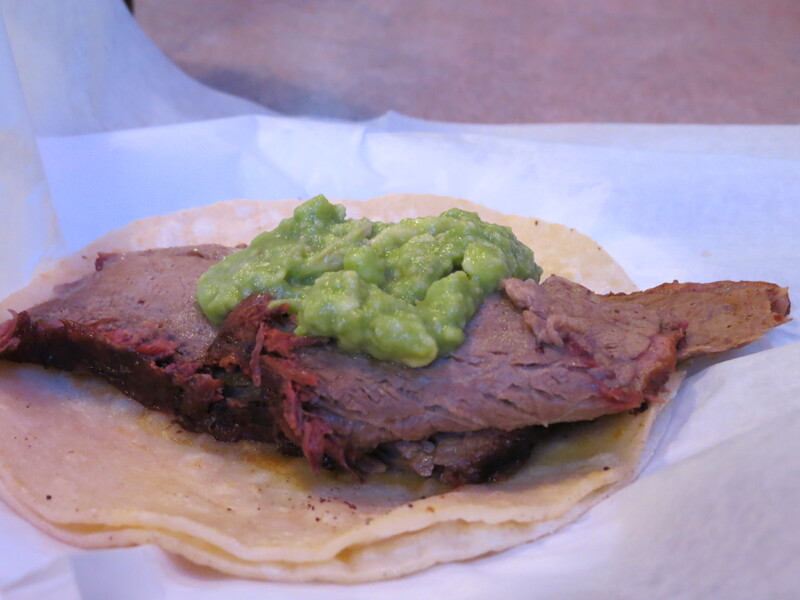 We also ordered a tri-tip taco smothered in fresh guacamole and a side order of crinkle cut fries. Add a bottle of Mexican coke and their luscious tres leches cake and you’ve got yourself a simple meal to remember. So next time you’re in SLO county or driving up the coast on the 101, make sure to stop by for some distinctly California ‘cue and a craft beer. 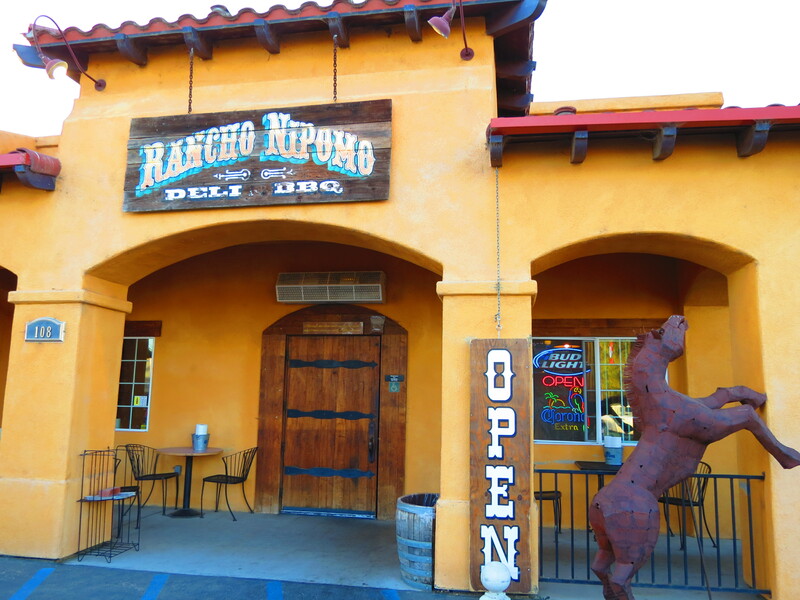 Rancho Nipomo BBQ is located at 108 Cuyama Lane, Nipomo, CA.